This year, UC San Diego’s class of 2018 will be having the majority of commencement ceremonies on Saturday, June 16 and Sunday, June 17. Thousands of UC San Diego’s best and brightest will take the stage this weekend as the Class of 2018 participates in the campus’ various commencement ceremonies June 16-17. The momentous occasion will be celebrated with laughs, cheers and tears, as the journey to earning a college degree can be an emotional one. Matt Morris has always been interested in engineering and physics, rushing home after school to rebuild and re-engineer a 1973 Jensen Healey race car rather than playing video games. At UC San Diego, he’s studied engineering physics, furthering this childhood interest. 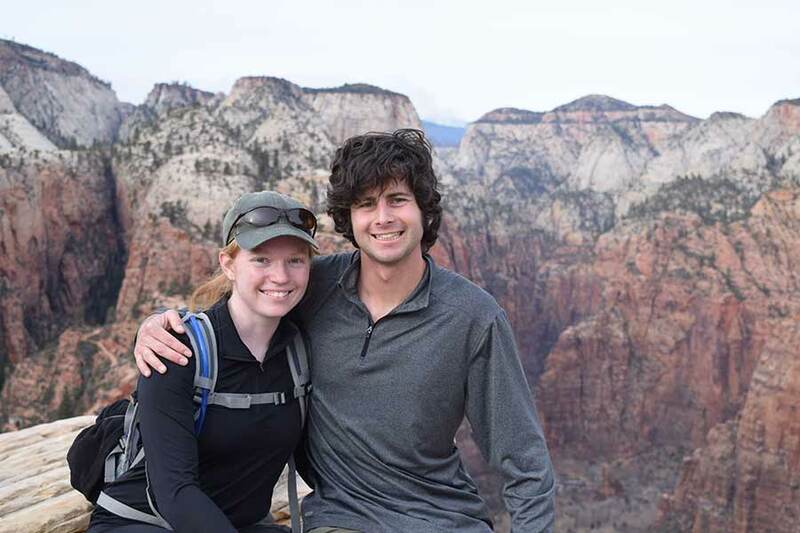 “I chose engineering physics because it gives the best foundation for understanding system level problems and the ability to branch out into a wide range of technical disciplines,” said Morris. His other passion is sailing, and the San Diego native has participated in races all over the world. John Muir College grad Gabe Schneider. When Gabe Schneider co-founded the independent student-run newspaper The Triton, he wanted the UC San Diego campus to have more dialogue around student issues, especially issues that underrepresented students are facing on campus. In less than three years, the initial team of three staff has grown to 60, with a majority of members being women and people of color. The staff ranges from humanities majors to students who study engineering and biology. “The Triton is very much an attempt to make a student newspaper that’s representative of our student body and of our community,” said Schneider. The Triton has become the University of California’s third-most engaged news source on social media, after UCLA’s Daily Bruin and UC Berkeley’s Daily Californian. In addition, the media outlet’s coverage has been cited by The New York Times, Quartz, and others. Schneider is currently deciding between job offers or graduate school in journalism at institutions that include Columbia, Northwestern and UC Berkeley. He hopes to work in nonprofit journalism and stay involved with The Triton on an advisory board, advocating for student, faculty and staff communities on campus. 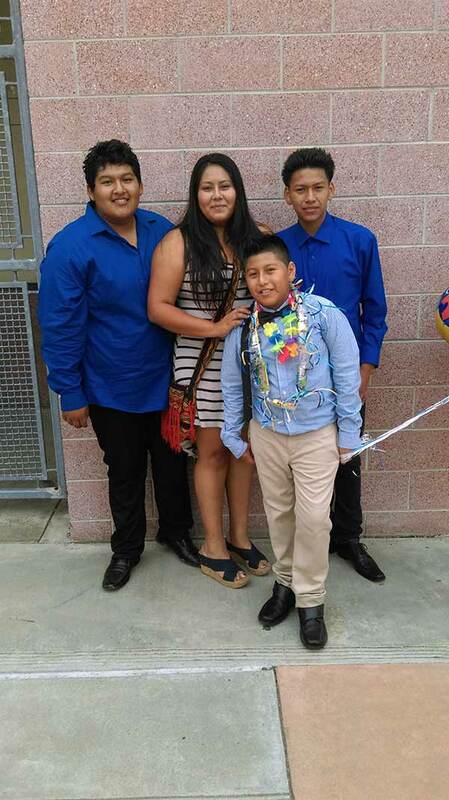 Sixth College grad Leon Sanchez Reyes (left) with his sister and two younger brothers. Thurgood Marshal College grad Anika Ullah. 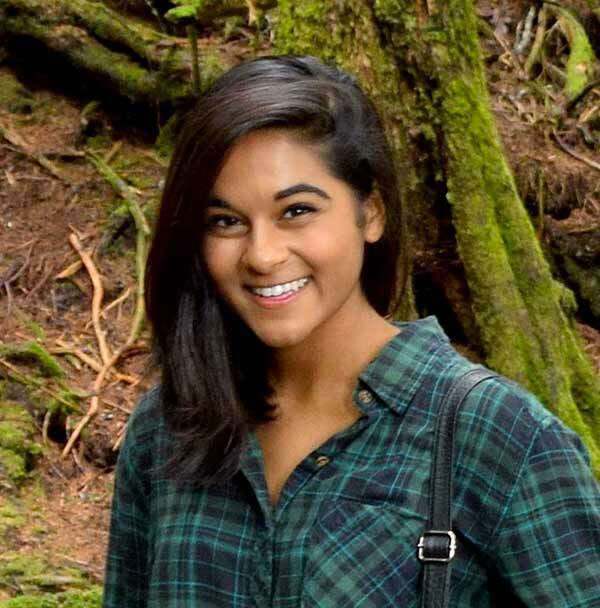 Anika Ullah is graduating this year with as a double major in human biology and interdisciplinary computing and the arts (ICAM). The Fulbright Scholar already has an impressive and lengthy resume at 22 years of age. Combining her love of arts and media with her passion for medicine and charity, Ullah established the intersectional Health Project San Diego (IHPSD). “I founded IHPSD on the principles of using multimedia storytelling as a method for understanding and raising awareness for the issues going on in neighboring communities,” said Ullah. Because San Diego is just 18 miles from the busiest land border crossing the western hemisphere, she wanted to bring awareness to UC San Diego students about the environmental, urban and political issues in the region that often seem much farther away than they actually are. “I always felt that we have a duty to use the things we learn here at UC San Diego to benefit underserved populations,” she said. IHPSD works with border communities to investigate, report and co-produce knowledge regarding overshadowed public health issues and to mobilize collaborative student-community activism and problem solving. In just one year, their work has already been recognized by the San Diego Housing Commission, UC President Janet Napolitano and the Clinton Global Initiative University. After graduating, Ullah will be researching the betel nut in Taiwan as a prestigious Fulbright scholar. Working with Taiwanese Vice President Chen Chien-Jen’s research team and the Taiwanese Ministry of Health and Welfare, she will lead a multidisciplinary study on the link between carcinogenicity and cultural preparation strategies of the betel nut in Kaohsiung, Taiwan and Xiangtan, China. The betel nut, or paan as it’s known in certain countries, is a fruit that is consumed in many areas throughout Asia. There are many cultural practices surrounding its consumption—a hallmark of entering womanhood, hunger suppression, a social lubricant, a pick-me-up after long hours of manual labor. Ullah had grown up seeing her grandmother eat them and had always thought it was a harmless snack eaten during Bangladeshi festivals. Growing up in a predominantly Taiwanese town and learning Chinese in school, she was interested when she found out Taiwan had the highest rate of betel nut linked to oral cancer globally, while China had the lowest. Thus, she applied to the Fulbright Scholarship with the idea of undertaking a comparative study on betel nut consumption, carcinogenicity and cultural practice in Taiwan vs. China. When Ullah comes back from her research in Taiwan and China, she hopes to spend a few months next summer making a documentary film about the impact of climate change on women laborers in Bangladesh’s coastal communities. In September 2019, she’ll start her master’s degree at the Massachusetts Institute of Technology Media Lab. After that, she hopes to attend medical school and enroll in a dual degree program to also earn a master’s in global health policy. “I aspire to become a physician-scientist, activist documentary filmmaker and global health policymaker,” said the multi-talented student. 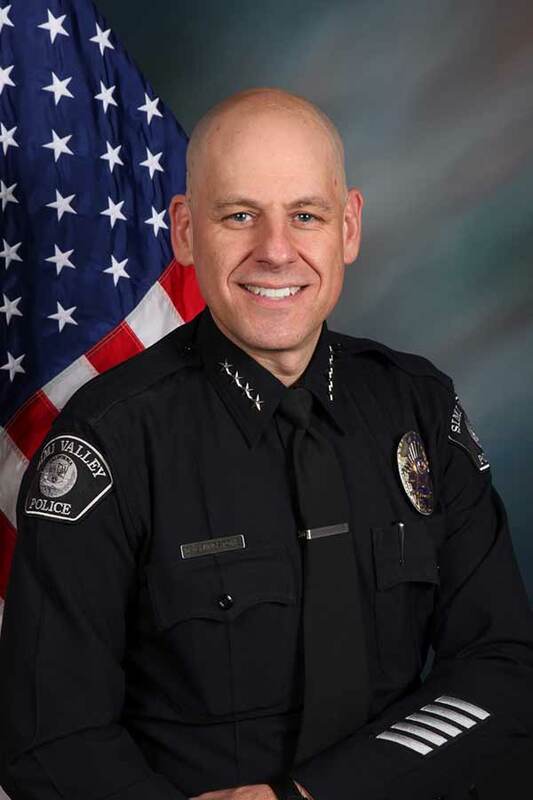 Simi Valley chief of police David Livingstone is earning his doctorate in history. As chief of police in Simi Valley as well as a doctoral student studying history at UC San Diego, David Livingstone strives to bridge the gap between law enforcement and academia. In working full time as a police officer and serving as chief of police for the last two years, he learned how his analytical and critical experience in the humanities could be beneficial in investigative and detective work as well. In fact, Livingstone’s skills in archival research allowed him to reopen a cold case where an innocent man was accused of murder and imprisoned for nearly 40 years. Just last November, this man was pardoned by Gov. Jerry Brown after a new investigation proved he was wrongly convicted. “David’s historian’s skills allowed him to get the man out by proving investigative missteps and errors in the testimony of a key witness,” Livingstone’s professor and mentor, Frank Biess, said. Livingstone chose to attend UC San Diego seven years ago for its proximity and the opportunity to work with Biess, an expert on modern German history. “My mother was an immigrant from Germany who had been there as a child during the Cold War,” said Livingstone, on why he chose to study West German policing, focusing on the border police, for his dissertation. It was difficult for Livingstone to balance working a fulltime job while studying for his Ph.D. He had to commute 300 miles roundtrip while working on his dissertation and serving as a teaching assistant. “I suffered from a lack of sleep at times, but I used my weekends staying current with studying and grading…I also used the downtime in between classes to do as much as I could,” he said. In the future, Livingstone wants to teach at a university or community college level, but for now, he hopes to increase Simi Valley Police Force’s positive and transparent relationship with their community. “My seven years at UC San Diego as a Ph.D. student have done more to prepare me for the challenges of leading a police department than anything else,” said Livingstone. Ashley Halabi (right) pictured with Alisar El Rayess , friend and classmate at the School of Global Policy and Strategy, pictured at the second annual Intercollegiate Convention Against Modern Slavery, held at UC San Diego in March of 2018. Born and raised in Beirut, Lebanon, Ashley Halabi has always been aware of human rights violations in the region. Now as she’s graduating from UC San Diego’s School of Global Policy with her master’s degree in international affairs, Halabi’s compassion for helping the world’s most vulnerable populations, has remained a core part of her identity. While working with Syrian refugee schoolchildren in Lebanon, she was able to gain experience in field work. “After realizing that English lessons weren’t effective for the young students, I developed a peace education program that was successful and well received by the students,” said Halabi. “This taught me the importance of listening to the people we were trying to help.” Working as an intern for Physicians for Human Rights in New York last summer, located close to the Lebanon/Syrian border, she was responsible for conducting Arabic searches on social media to find videos of attacks against healthcare facilities in Syria and Yemen, as civil wars plague both countries. At the same time, she also worked at the Justice Rapid Response as a communications intern, compiling reports documenting the human rights violations committed against civilians in Iraq and Syria by the terrorist organization ISIS (Islamic State) and by the Bashar al-Asad Syrian regime. While at UC San Diego, Halabi established Ceasefire, a student organization for monitoring human rights violations in war-torn countries. “Through this organization, I raised awareness on neglected and vulnerable populations and encouraged my classmates to engage with communities in need,” she said. “I learned how to connect and engage with local NGOs (non-governmental organizations) and refugee communities.” For her work with Ceasefire, Halabi was encouraged to present at the first annual Intercollegiate Convention against Modern Slavery at the Harvard Kennedy School. After her positive experience at the conference, she proposed to bring it to UC San Diego the following year as well, becoming the regional leader of the organization Collegiate Leadership in the Fight for Freedom (CLIFF) in California. “As a team leader, we faced many challenges but were still motivated my team to continue recruiting experts, survivors and student leaders from the U.S,” said Halabi. She led the second annual Intercollegiate Convention against Modern Slavery, which received wide praise and was even interviewed and featured on CNN International. 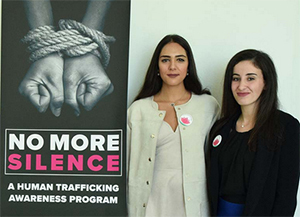 “As student leaders, our duty is to understand the source and the details of these trafficking networks, and then learn the different ways we can break the silence and raise awareness to save as many lives as possible,” Halabi said. 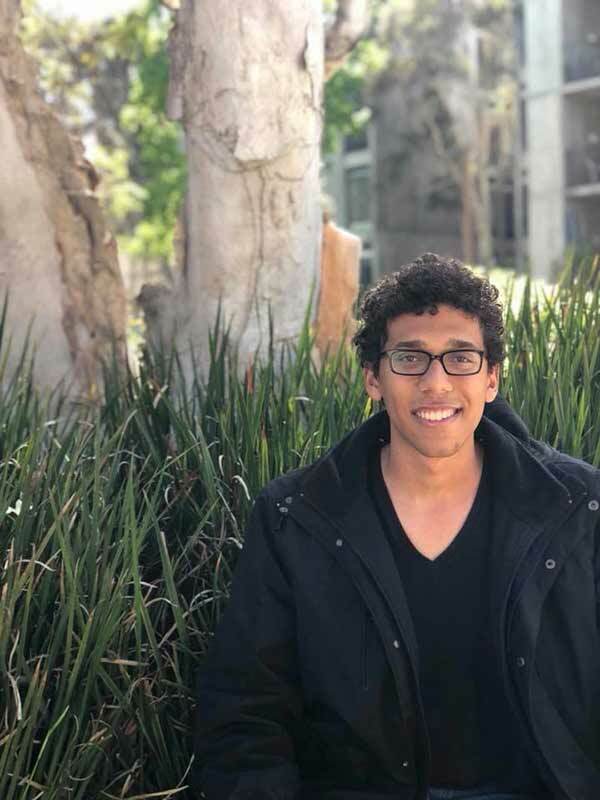 Along with other research and job opportunities at UC San Diego, Halabi hopes to pursue a career in global business, diplomacy, nonprofits, regional development and more.